For something really different, why not try pub trekking for a leisurely lunch, at any time of year, or on a summer evening? 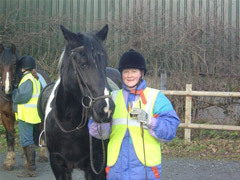 This horse and pony trekking activity is absolutely ideal for novice riders as well as for those more experienced. The trek is conducted in walk, led by experienced ‘leaders' who are there to ensure your safety at all times. The pub that we ride to is The Dog & Doublet, a picturesque, canal side pub, built in 1786 and retaining an old world charm. A warm welcome awaits all trekkers from the staff and management of the pub who offer a range of hot meals as well as sandwiches and snacks. 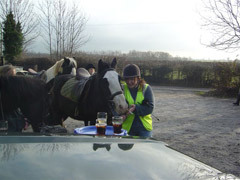 The Dog & Doublet also has a fine array of fine wines and ales to tempt the weary rider! The cosy interior is warm and welcoming and, on a fine day, there is nothing better than sitting at one of the pub's outside tables overlooking the canal and the colourful narrow boats that are often moored alongside. Children, accompanied by an adult, are welcome to enjoy this experience. As a birthday treat, a gift for Mother's Day or Father's Day or simply a lovely way to have lunch with a difference, the pub trek is for you. 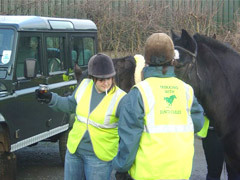 The riding time on this activity is approximately 1 hour, with an hour allowed for food and drink. Your meal is included in the price of the trek. The horses and ponies enjoy a grassy snack while you eat! 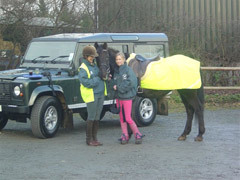 Please note that hard hats and body protectors are fitted, free of charge, for all riders.